ANYONE WHO HAS ever bought an iPhone will know about the headphones that are included with them. 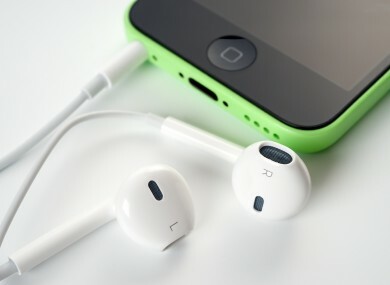 Usually such headphones are there for music but the iPhone’s earpods can do more than that. It’s just a matter of knowing where it can be used. You already know that you can change the volume and pause/play music but what you might not know is double tapping the centre button lets you skip to the next song. If you triple click, it will restart the song you’re listening to or go to the previous track. Also double click and hold down to fast forward through a song and triple click and hold down to rewind. If you’re listening to music and a call comes through, all you have to do is press the centre button to answer it. The volume controls also double up as a microphone so you don’t have to take your phone out. If you receive another call, then pressing the centre button will switch to the next call and the original caller will be put on hold. When you’re done with the call, press the centre button again to hang up. If you don’t want to answer a call, just hold down on the centre button to send it straight to voicemail. If done successfully, you will hear two beeps. When you’re using the camera app, you can use the volume buttons (either increase or decrease) to act as a shutter button. On the off-chance you want to do something else, holding down on the centre button on the home or lock screen will bring up the personal assistant. This can be useful if you want to complete a different action like schedule a time or ring someone. Email “Still have your iPhone headphones? You can do quite a few things with them”. Feedback on “Still have your iPhone headphones? You can do quite a few things with them”.